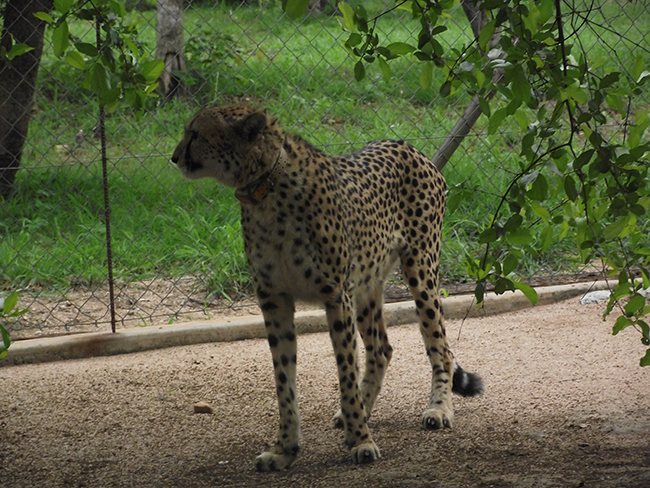 On 27th October, curator Christo Scheibers arranged for the transfer of a female cheetah from the Hoedspruit Endangered Species Centre (HESC) to Hluhluwe, KwaZulu-Natal. 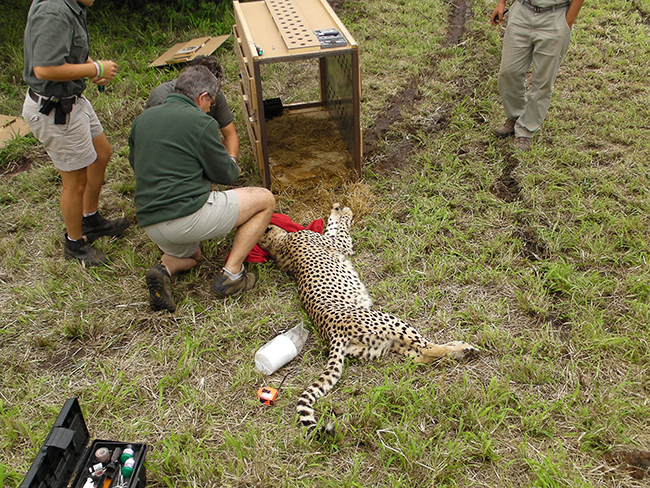 The cheetah was taken to the Thanda Game Reserve the following morning, where she was released into a boma (enclosure). This female was one of five cheetahs that were moved from the Mountain Zebra National Park on 16Â April 2011. She was brought to HESC with her mother and two siblings, a male and female. Another male, not part of their family unit, accompanied them. 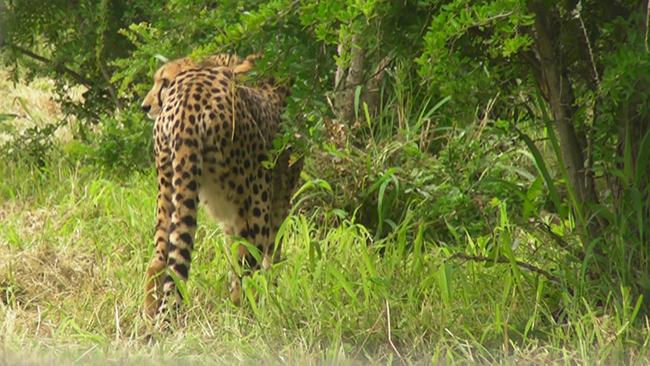 The sub-adult male was one of the cheetahs released onto the Blue Canyon Conservancy on 31Â July 2011.The mother and the sub-adult female were later released onto Camp Jabulani on the Kapama Game Reserve on 9th June 2012, which was covered on this blog, what’s been going on. These two are still doing very well on Camp Jabulani. 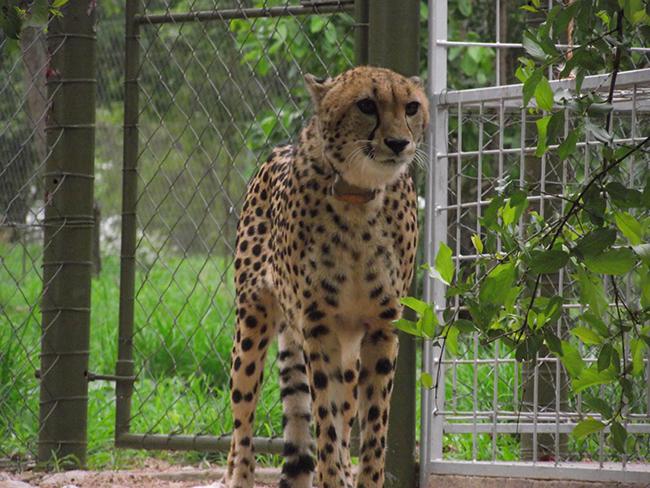 This female cheetah will be quarantined at Hluhluwe for approximately three months to allow her to acclimatise to her new home. There is a distinct difference in climate between the Lowveld, where HESC is situated, and the Highveld climate of Hluhluwe. Having her live in a secure boma ensures that she will ease into her new surroundings and get used to the new sounds and smells, before being released into the wild. She will be fitted with a GSM collar, which will enable easy tracking of her movement after her release and allow her progress to be monitored.